Our West Park Elementary Students will have so much more fun in our winter wonderland thanks to the generosity of our local chapter of the Knights of Columbus! 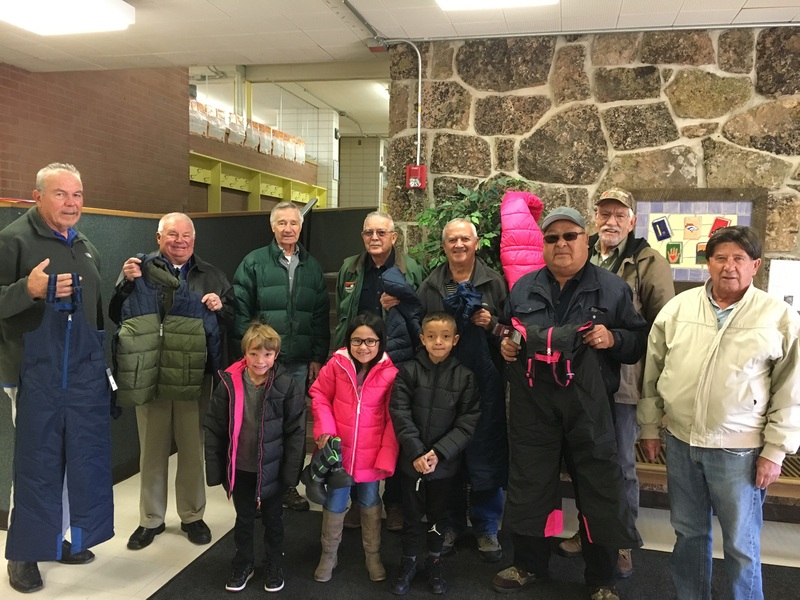 Each year the Knights donate snow pants, gloves, hats, jackets and boots for any students who might need them. Here is a picture of a few of the Knights with a few of our student models. This year they donated more than 70 items of clothing that will be greatly used and appreciated. Thank you for your thoughtfulness and generosity! We love our Leadville Community. Previous story Please come to our Celebration of Learning on Dec. 6th at 5:45pm!